I tried utilizing the treadmill to get the same benefits of a hike by adjusting the incline and speed during a thirty minute period, which would offer the same type of interval training that I naturally get while hiking. Walking at an incline burns more calories than walking on a level surface because your body has to work much harder to push itself uphill. You’ll definitely feel your heart pumping faster as the incline percentage increases, and it will drop as you come back down to level ground. This incline interval workout is to be done on the treadmill, but it’s far from boring. In fact, it seemed to go by quickly! Since the workout is designed to change your speed and incline every few minutes, you don’t stay in one “place” long enough to get bored. You’ll be working at moderate to high intensity for a few minutes at a time followed by brief periods of recovery. One factor that will make a huge difference in this workout – don’t hold on to the machine! You will be greatly decreasing the intensity of your workout by holding on to the front or sides of the treadmill, thus making it less effective overall. 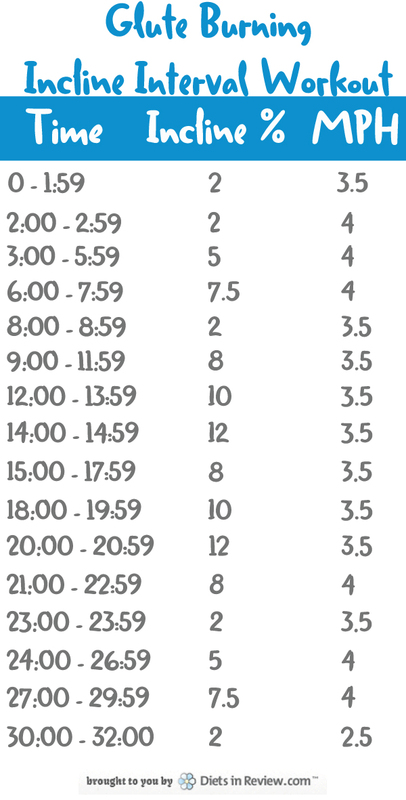 The chart below shows the time spent in each interval and the incline percentage and speed to set on the treadmill during that period. The workout includes a two minute warm-up and cool-down, in which you will be walking at an easy to moderate pace at a slight incline. In total, you will have walked two miles by the end of the workout. Feel free to cool down for a few extra minutes at the end (and allow some time for stretching!). 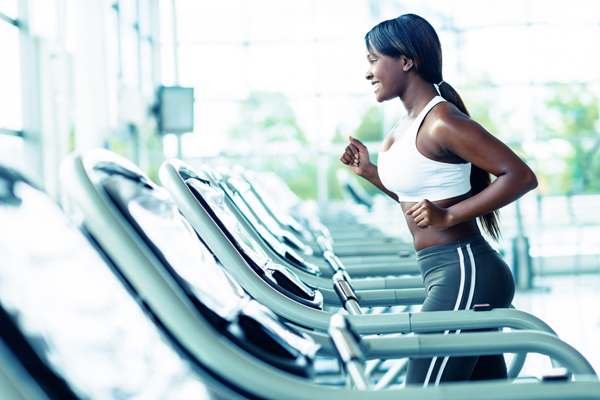 Elliptical Vs. Treadmill Workouts: Which is Right for You?